The forth quarter of last year (2010) was a bit worry some for Facebook considering the fact that there were a lot of questions raised about the security of Facebook. 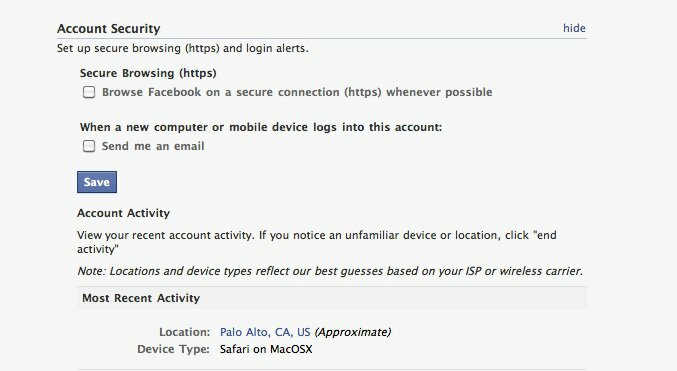 The Firefox plugin Firesheep allowed any amateur to hack into someones Facebook account logged into the same WiFi or other public networks. The only answer to this question was to make Facebook force the browser into using secure connection to communicate with the website to ensure that the information you send remains private, just like you find on Gmail, Paypal and a various other services which involve online transactions. Finally Facebook has introduced this feature. This indicates that your browser is using a secure connection ("HTTPS"). Now the feature has started to roll out, it might take sometime to have this feature visible in your account. Remember, secure connections are always a bit slower. You know how much time it takes to log into your Gmail account. So Facebook has left it upto you if you want to opt into or out of it. 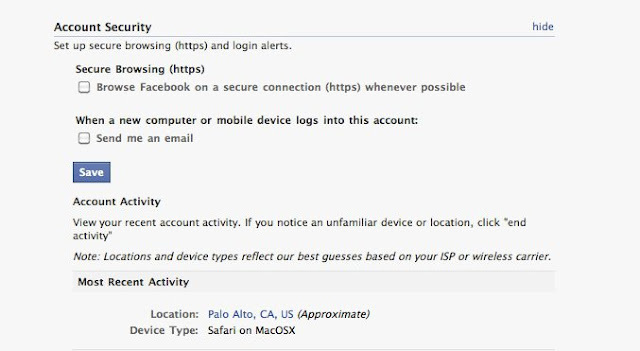 Click on the link above, click change besides the Account Security tab, then find for Secure Browsing (https) and check the first button which says "Browse Facebook on a secure connection.."